© Katharine Moore. All rights reserved. 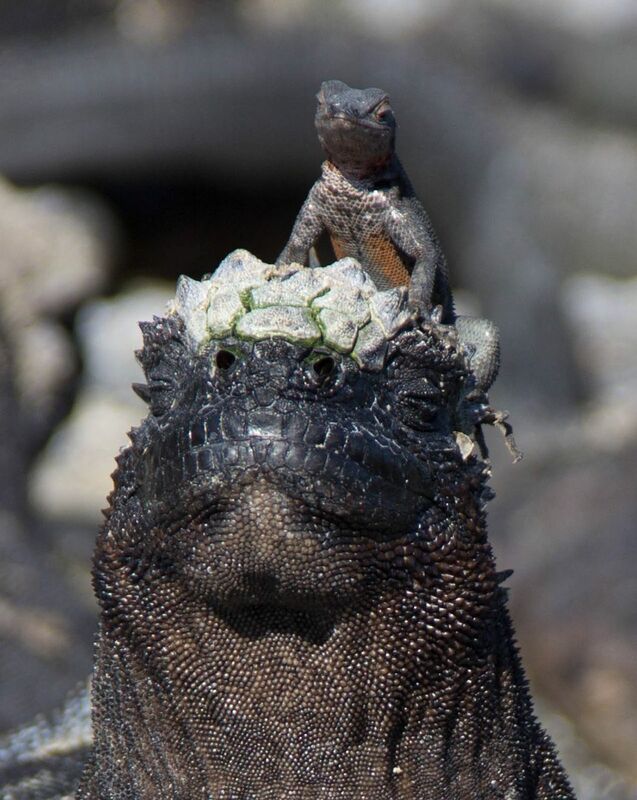 A lava lizard sits on top of a marine iguana's head in the Galapagos Islands. Date Uploaded: May 27, 2012, 12:38 a.m.